Create content rich and community oriented website using this highly flexible CMS – VMware. We offer tailor-made, high performance and affordable VMware enabled web solutions. VMware’s industry-leading virtualization software enhances applications, servers, storage, and network effectively to minimize IT expenses while improving agility and efficiency for businesses from different verticals. 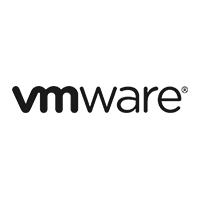 By leveraging the power of VMware, we help customers to streamline their existing applications and data, and deploy newly developed applications to the cloud environment. Virtualization leads to enhanced IT agility, flexibility, and scalability with significant savings in cost. With the virtualization of VMware, there is a faster deployment of workloads, an increase in performance and availability, and an automated carrying out of operations, resulting in a simpler to manage and less costly to own and operate IT infrastructure. Reduction in capital and operating costs. An increase in IT productivity, efficiency, agility and responsiveness. Enabling business continuity and disaster recovery. By choosing us, you give yourself the opportunity to get smart solutions. We work to help customers modernize their existing applications and data, as well as develop new applications that can be deployed into private, public or hybrid cloud environments. Our clients deserve a truly world class solution. We take our client’s requirements as the opportunity to exhibit our dynamic approach to cater to their needs, impeccably, providing absolute VMware solutions and comprehensive support. So, you too avail this opportunity and hire our experts today! You are here because you need the best-in-class VMware solution, while we are here to serve you with our sheer diligence. Grab this opportunity to acquire the best technology solution with collaborative customer engagement.